More and more bars and cafes in Brisbane and the rest of Australia are now using timber and other organic materials. A trendy, hipster aesthetic can be achieved through the use of raw, natural and recycled materials, even with the simplest interior design. 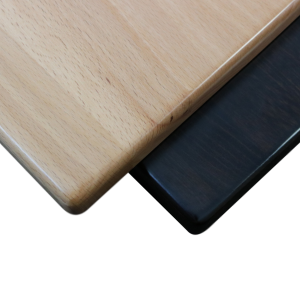 Tables with timber tops offer businesses the chance to introduce natural wood into their interiors. There are options galore for all sorts of tastes and budgets, such as the following. Custom making your own timber table tops offers you the greatest degree of control if you have the budget for it. 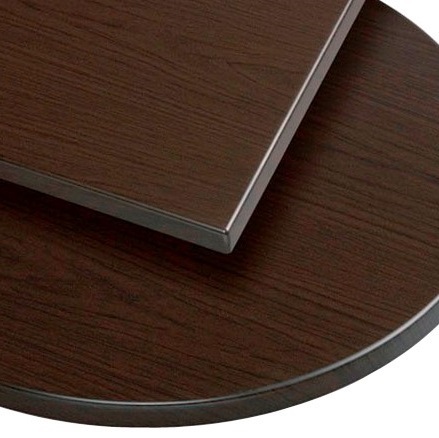 Square, round or rectangular table tops are available depending on the needs of your space. Our Werzalit Gentas Duratop Table Tops are a beautiful way to furnish your interior, and come in an exclusive selection of finishes and sizes. These table tops can stand the test of time and are weatherproof, durable and good-looking in addition to being affordable. They are hardy enough to hold up under heavy usage in Australia’s fast-paced hospitality industry. These table tops offer the best value in town, and also come with a two-year guarantee. Have a look at our warranty page to find out more. For those with average budgets, our Duratop Tuscany timber table tops are a great choice. These come in several standard sizes and are made of authentic European Beechwood that measure a sturdy 25 millimetres thick. These table tops have been created to withstand the demands of the hospitality and café industry, with sturdy metal supports attached beneath for extra strength. 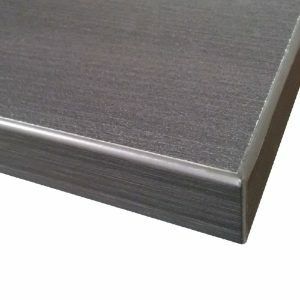 One of the most cost-effective solutions available is our melamine table top, composed of a standard MDF E0 board which is 25 millimetres thick and has ABS edging measuring 2 millimetres. These table tops come with our two-year warranty and display excellent utility and hygiene. 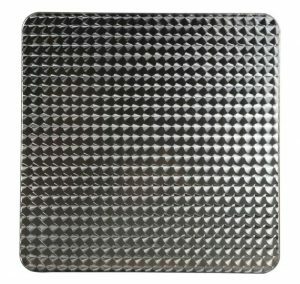 They are very hardy and their hardwearing surfaces can withstand high impact and are also resistant to stains, wear, moisture and scratches. Our melamine table tops can be delivered to locations anywhere in Australia. Timber table tops are not recommended for use outdoors or in otherwise unsheltered areas as exposure to moisture and excessive sunlight can cause fading and warping. However, that does not mean outdoor areas cannot be given a timber appearance. 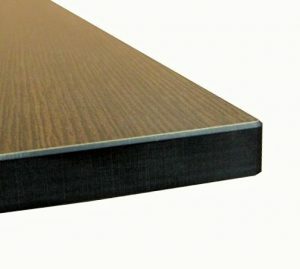 Timber-look or stainless steel products can endure beneath the Australian climate’s sun and rain. The Duratop Inox Table Tops and Compact Laminate Table Tops are ideal in such situations, and are available in a range of finishes which look similar to timber. When selecting timber table tops for your business, take note of the weight of each table top. This weight will have to be kept in mind when choosing a base for the tables, to ensure there is enough support for the table tops and that they will not tip over when pressure is applied to them. For help choosing the best timber table tops and table bases for your situation, ring our team at (07) 3257 7272. Feel free to consult our Café Table Buying Guide to find out more.